The interactive “Black Mirror” movie, “Bandersnatch” came out on Netflix on December 28th after months of both speculation and high anticipation from Netflix audiences. This game-like movie has been dissected and picked apart by viewers since it came out and the general consensus of fans is that the only way you can understand it is if you watch it multiple times and play through as many different pathways as possible. The interactive movie has 5 endings so far, to completely confuse you, and to get to each end you would have to choose a different path each time, resulting with an either action-packed or rather disturbing ending. The Netflix movie, with a 92% approval rating on Rotten Tomatoes, is set in 1984, with Stefan Butler (Fionn Whitehead) waking up to the song “Relax” by Frankie Goes to Hollywood. This scene is going to be recurring if you plan on getting different endings. Throughout the movie, the viewer will be given A/B selections to choose from (with 10 seconds to choose) using the viewer’s remote control or screen on mobile devices. Some choices are quite plain and generally uneventful, and some quite dark. These choices the viewer makes decides the path, and ultimate ending, of the story. Stefan, the lead character, is an aspiring video game creator and gets a chance to create a game based off the fictional, choose-your-own-adventure style novel entitled “Bandersnatch.” His prospective place of employment is a company where his mentor Colin Ritman (Will Poulter) works. As the movie goes on for about the first 20 minutes it feels like what was expected of the very first interactive movie on Netflix. However this is only until you reach a point where the options given are now gruesome, or highly consequential, and you realize that each choice you make leads to a new path. This will ultimately make or break both you and Stefan. Some audience members were a bit frustrated after about 40 minutes or an hour of trying to figure out paths you’ve seen before and seen if it finally leads you to an ending. It all depends on if you’ll be satisfied with the ending you got, and if not you can just restart it until you’re either disappointed or just left in awe and confusion. 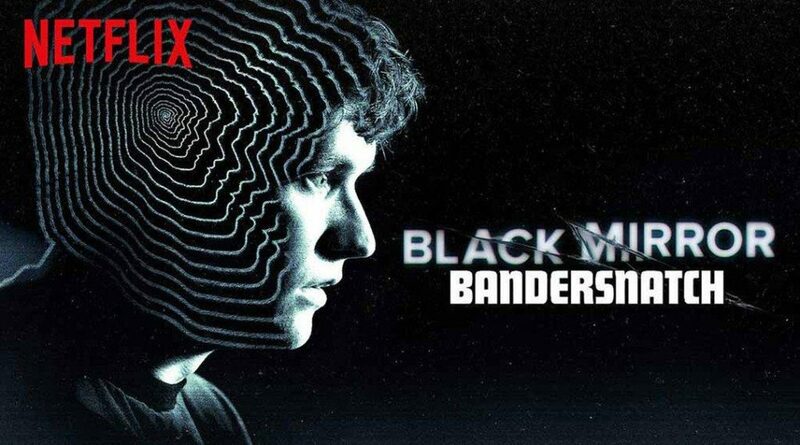 Bandersnatch will keep you emotionally on the edge of your seat with Stefan being in so many scenarios that you lose track and eventually want to restart. This concept of freedom of choice and the illusion of control will ultimately be the key to understanding this groundbreaking and original movie.